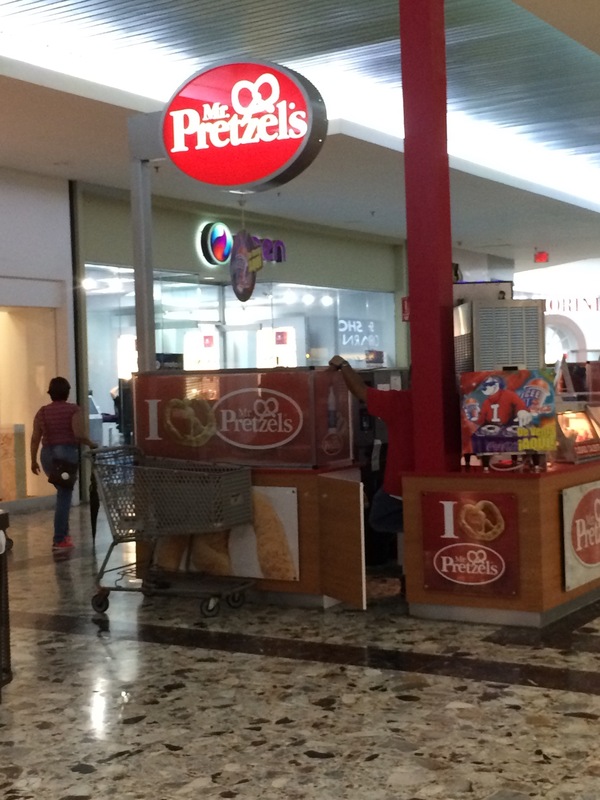 I’m not a mall expert, but of all the malls I’ve been to, I’ve never seen this activity to the extent that I see in the Mayaguez Mall. 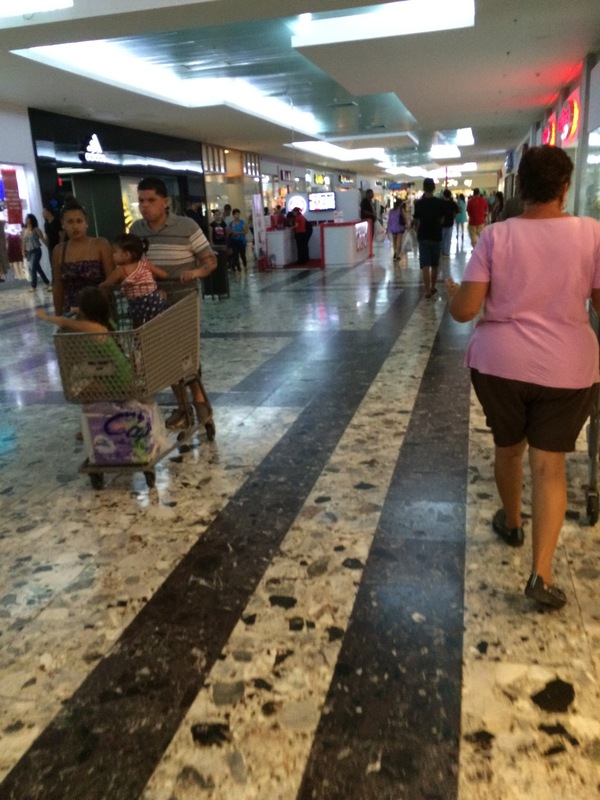 Carts being taken out of their store and used throughout the mall and left in the parking lot on the complete other side of the mall. I took all these photos in the span of about 8 minutes. At first I thought this was a nice idea in case I forgot a stroller. But hm. 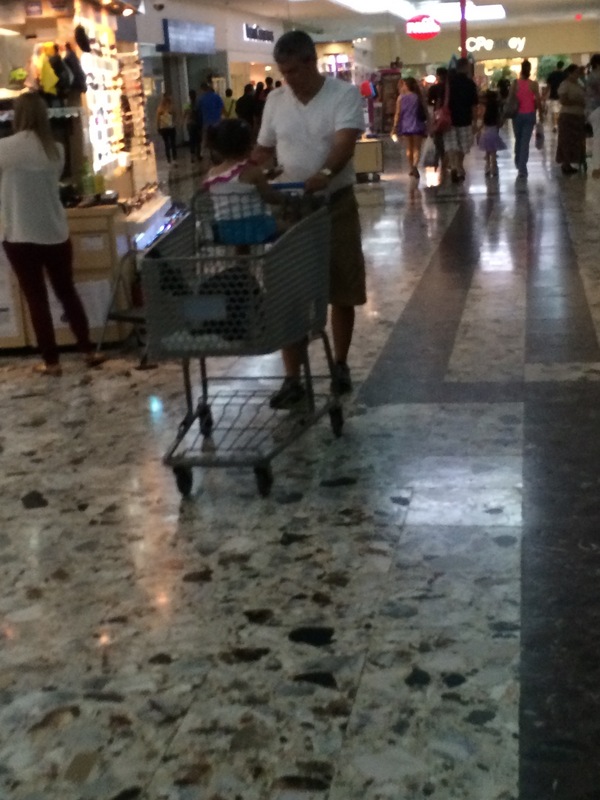 Why does the Walmart security guy standing by the exit let people outta the store with a cart? I don’t know. Interesting. 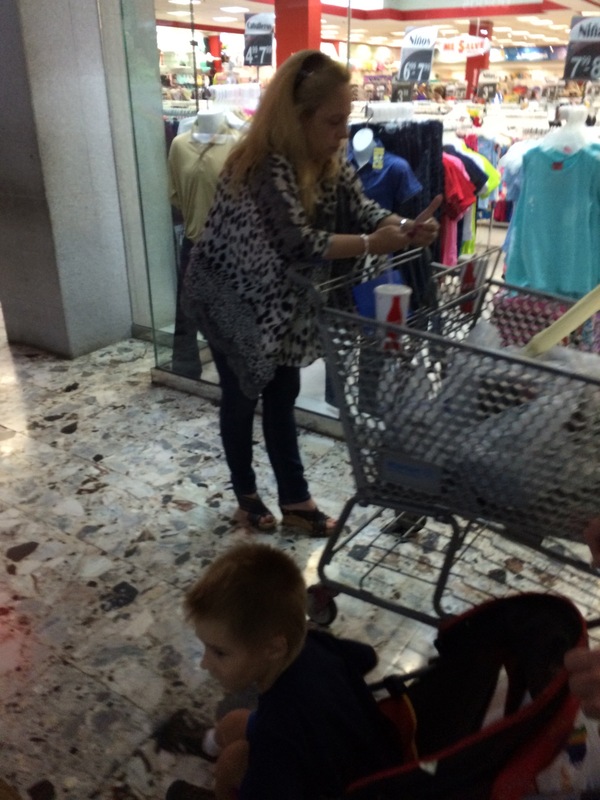 This entry was posted in Uncategorized and tagged carts, mayaguez mall. Bookmark the permalink. 2 Responses to Carts. 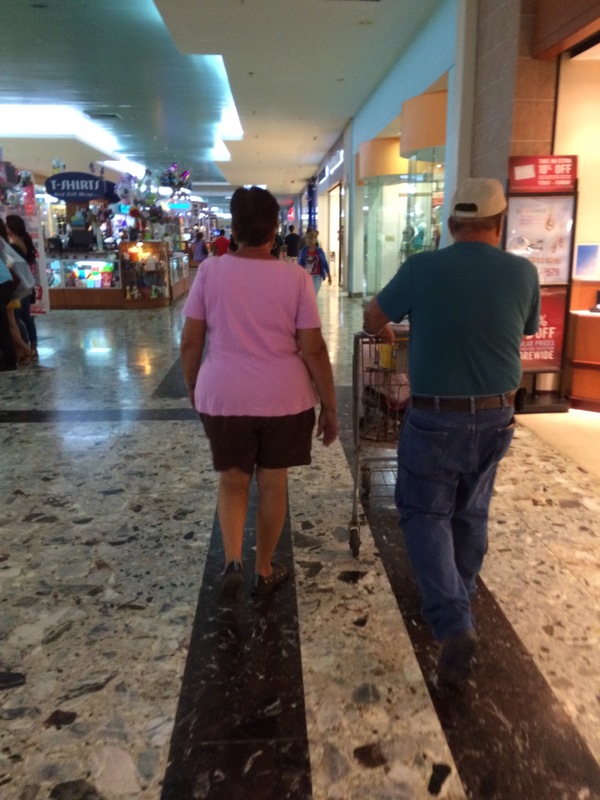 The shopping variety.